“Anyone can do this!” This is what I always tell people when I speak at universities, photo clubs, seminars, and the like, and I mean it! I am very open about my process, sharing all my tips and tricks. I have a FREE HDR Tutorial for Mac and Windows here on StuckInCustoms.com that describes the step by step process. 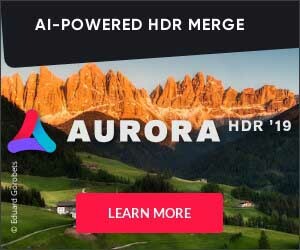 If you’d like to dive deeper, I also have video tutorials for Aurora HDR 2019. The tutorial shows how I use the tool for a variety of situations… landscapes, sunrise/sunset, people, motion, etc.. I can talk a little bit more about the philosophy behind the photography style here for a quick moment. You might consider that the way the human brain keeps track of imagery is not the same way your computer keeps track of picture files. There is not one aperture, shutter speed, etc. In fact, sometimes when you are in a beautiful place or with special people and you take photos — have you ever noticed when you get back and show them to people you have to say, “Well, you really had to be there.” Even great photographers with amazing cameras can only very rarely grab the scene exactly as they saw it. Cameras, by their basic-machine-nature, are very good at capturing “images”, lines, shadows, shapes — but they are not good at capturing a scene the way the mind remembers and maps it. When you are actually there on the scene, your eye travels back and forth, letting in more light in some areas, less light in others, and you create a “patchwork-quilt” of the scene. Furthermore, you will tie in many emotions and feelings into the imagery as well, and those get associated right there beside the scene. Now, you will find that as you explore the HDR process, that photos can start to evoke those deep memories and emotions in a more tangible way. It’s really a wonderful way of “tricking” your brain into experiencing much more than a normal photograph.